2011 Ford F-450 Super-Duty XLT 4-Door Crew Cab 4X4 Off-Road Long Bed Diesel DRW (Dually) Truck ****215K MILES - ONE OWNER****. Exterior is white and the interior is gray cloth - Both in VERY CLEAN SHAPE for the age and mileage - VERY CLEAN 1OWNER SOUTHERN RUST FREE 4WD DIESEL DUALLY WORKHORSE TRUCK - READY TO HAUL!!! This Ford F-450 Lariat Crew Cab 4WD DRW truck has a 6.7L V8 POWERSTROKE TURBO DIESEL engine and an automatic transmission - GREAT TRUCK TO PULL YOUR CAMPER, RV, BOAT, TRAILER, TRAVEL TRAILER, HAULER, CONSTRUCTION, LANDSCAPE, FARM, HORSES, WINTER/SNOW TRUCK, HOTSHOT, WORK TRUCK, ROOFING, PLUMBING, WELDER TRUCK, WORK TRUCK, ETC.!!! This vehicle comes LOADED with power windows, power locks, power telescoping/folding mirrors, power driver seat, auto lamp, dual airbags, cruise, tilt, tach, o/d, tow/haul select, MP3 amfm cd player, climate control w/ COLD a/c, rear seat, privacy glass, 4X4 - four wheel drive, FX4 off-road package, DRW - dual rear wheels, steering wheel controls, vehicle info display, factory electric brake controller, 4 auxiliary upfitter switches, Ford chrome tubular side steps, 8ft. long bed, bedliner, keyless entry, B&W turnover ball gooseneck hitch, tow package w/ plugs, cab lights, 17'' Ford alloys w/ Firestone tires, Ford books and much more. 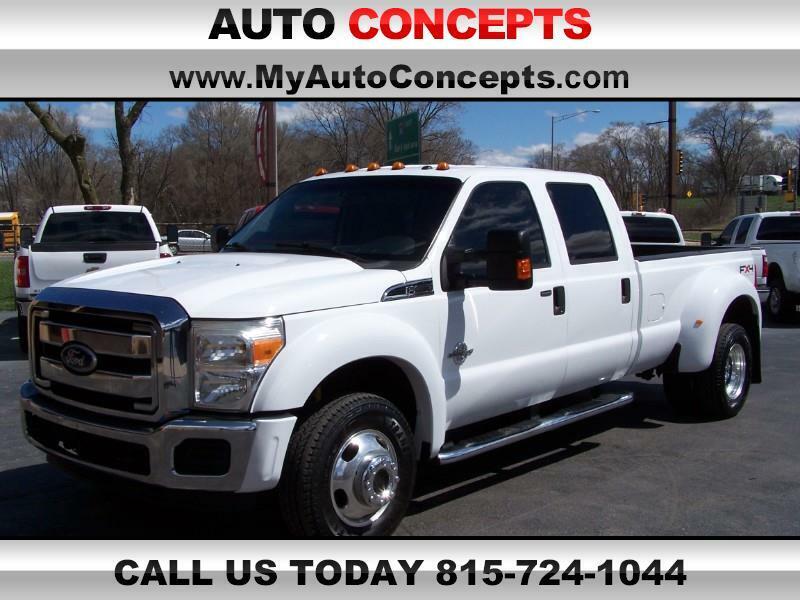 This vehicle is PRICED TO SELL FAST, so first person with cash, cashiers check, bank wire, and/or loan check in hand will own this NEWER - F450 SUPER-DUTY - CREW CAB - 6.7L POWERSTROKE TURBO DIESEL - FOUR WHEEL DRIVE - ONE OWNER - RUST FREE SOUTHERN dually truck. For more information and photos on this or any of our OTHER DIESEL TRUCKS, call us today at 815-724-1044 or VISIT OUR WEBSITE at www.MYAUTOCONCEPTS.com.